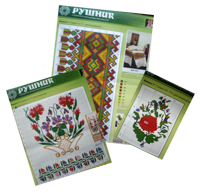 More than 170 samples of old wedding and festive embroidered shirts that are the real treasure of traditional Ukrainian costume of Borshchiv area that in Ternopil region, contains an illustrated edition of Borschiv's shirt collection of Vira Matkovska." 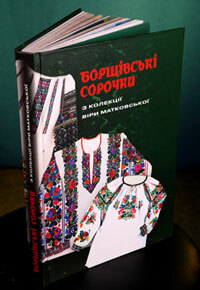 The pages of brightly illustrated books (by photograph - Myhailo Urbanskyy, Inna Shkloda and Lyudmila Bulgakov-Sytnyk), along with the textbook "black" women's shirts, embroidered with woolen thread archaic techniques, first presented products, embroidered with silk embroidery, an ancient method of monastic and other previously not known to the general public sample Borshchiv shirts. 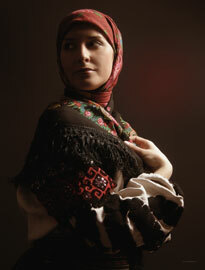 The publication consists of three parts, each of which represented three generations of embroidery - the ancient and modern shirts, blouses and other clothes. 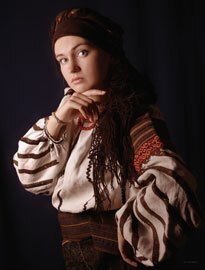 Vira Matkovska by own funds gathered a large collection of unique embroidered shirts, - noted author, scholar from the Lviv Ludmila Bulgakov-Sytnyk. 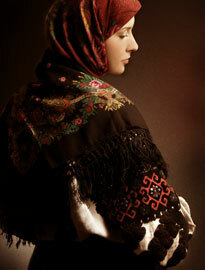 - She put a monument of Borshchiv Stitching. When I first saw this collection, I was delighted, although for me it was not new material. 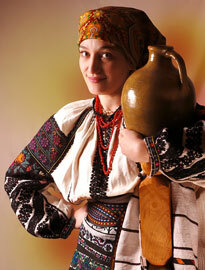 Later we joined the team which carried with the idea of Vira Matkovska. And as a result of our work - this beautiful book. 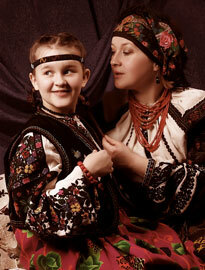 In the edition of the author focused on the role of the collector, because the collector, in this case Vira Matkovka, performs an important mission in the transfer of achievements of our ancestors to future generations. - Exclusiveness of this collection is that it enables the researcher to examine the phenomenon of Ukrainian costumes - continues the author. - This is like a scientific laboratory. It is therefore hope that our book will grow and will launch a number of other new titles for young local researchers. L.Bulgakova-Sytnyk stressed that Ternopil needs as soon as possible to create art gallery, where Vira Matkovska would have the opportunity to put her entire collection. The publication is for a wide range of readers, critics, ethnographers, museum professionals and anyone who cares about folk art.